Boris Sokoloff, a doctor in Russia during the tumultuous years of the Russian Revolution and a survivor of the infamous Butyrki prison, has a remarkable story to tell. During his fascinating life he encountered nearly every major political and cultural figure in Russia between 1917 and 1920 and was an eyewitness of or participant in most of the major events of the period--the October Revolution, the Constituent Assembly, an assassination attempt on Lenin's life, and the final collapse of the Northern Front. The White Nights is his story. While The White Nights will engage the historically minded, it is as much a work of literature as it is history. Sokoloff consciously imitates a generation of great Russian authors, such as Anton Chekhov, the master of the Russian short story. Sokoloff gives his readers not a single narrative, but fifteen short stories, some of them murder mysteries, others romances or political thrillers. Each of these dramas has its own vivid cast of characters, its own play-like set, and its own heroes and villains. And all are depicted upon a vast stage: the anarchic, disintegrating Russian Empire. 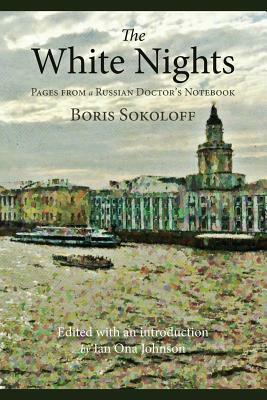 The White Nights reads as a work of literary impressionism, with Sokoloff's colorful, pointillist strokes filling in the canvas of the Russian revolutionary era. Most dramatically, Sokoloff challenges his readers with the moral problems inherent in a failed assassination attempt on Lenin in which he participated in the spring of 1918. In each instance, those in positions to do something failed. As the West finds its democratic values increasingly contested at home and abroad, it is a timely lesson to remember what happens when those who believe in freedom fail to act. IAN ONA JOHNSON is associate director of the Brady-Johnson Program in Grand Strategy and lecturer in the Department of History at Yale University. He was the recipient of the Fulbright-Hays Doctoral Dissertation Research Fellowship and the H. F. Guggenheim Foundation Dissertation Fellowship, and he was also a Smith-Richardson Predoctoral fellow in International Security Studies at Yale. He is the author of The Faustian Bargain: Secret Soviet-German Military Cooperation in the Interwar Period, forthcoming in 2018 from Oxford University Press.